May 1 – the start of Small Business Week – also marked the day that PayPal launched a solution intended to streamline access to PayPal’s ecosystem of services and solutions for SMBs focused on growing their businesses. PayPal also used the occasion to release new data on the role that PayPal has played in helping SMBs gain access to working capital – some $3 billion dollars to 115,000 businesses around the world over four years – further underscoring its commitment to helping SMBs improve both the customer-facing and back office aspects of their businesses. 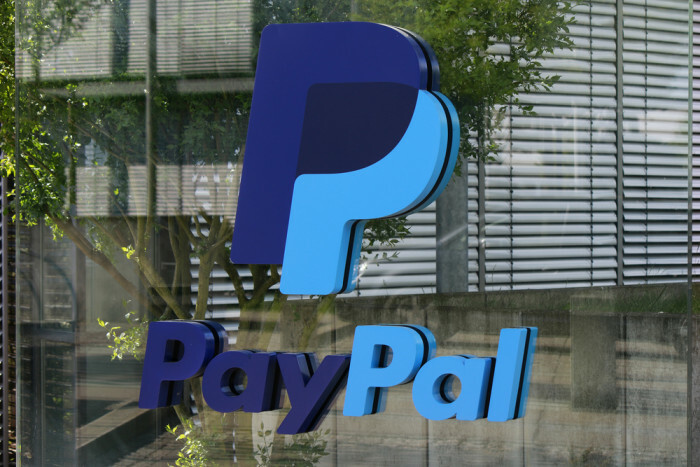 PayPal GM and Head of Small Business Amit Mathradas, told Karen Webster that it’s all part of PayPal’s plan to be more than simply a feature on an online website that helps small businesses sell online. “We’re providing the tools that help [SMBs] grow, and it’s one of the reasons we’ve rapidly moved away from being that yellow button, to truly being a growth partner to go beyond just payments,” he said, adding that PayPal is looking at the broader “ecosystem” around payments in which small businesses operate. Over those four years, Mathradas said that PayPal has also struck deals with dozens of small business service providers from cloud accounting firms to eCommerce platforms and beyond, helping SME clients access other tools critical to their growth and success by acting as a reference and trusted referral point. But over the course of those years, and that growing list of partners, Mathradas said PayPal realized there must also be a single thread that connects the entrepreneur to all of these partners. And that, he said, was the inspiration for the launch of PayPal’s Business in a Box, a service to help U.S. SMEs gain streamlined access to PayPal partner services. Business in a Box provides both front- and back-office support for processes like online sales, accounting, applying for a loan through PayPal and payment acceptance, including Xero (for accounting services) and WooCommerce (for setting up an eCommerce shop). “From our conversations and our experience with now nearly 16 million merchants, their number one question is how to enable payment acceptance, including new forms of payments, such as Apple and Android Pay. Their second question is how do I get access to the ecosystem that goes around payments,” he said. Specifically, Mathradas said, they want help shortlisting or curating viable options that are easy to integrate with PayPal and vice versa. Business in a Box is intended to make that curation and recommendation process far more efficient. Through Business in a Box, SME clients can receive a discount from PayPal partners; WooCommerce is reportedly offering three additional months free for entrepreneurs that sign on to its Perusable subscription, a web hosting solution for small businesses online. Cloud accounting company Xero, meanwhile, will offer a free 30-day trial and a free hour consultation, reports said. Both of these firms enable PayPal Business accounts to integrate with their solutions. Mathradas said PayPal’s Business in a Box will eventually expand to include more partners and services, citing payroll tools, for instance, that could come with the packaged offering and integrate across not only the PayPal Business account, but across accounts from partners like WooCommerce and Xero. Simultaneously, Mathradas said PayPal will continue to focus on growing PayPal Working Capital, with all of these partnerships and integrations givingPayPal the power of financial data to underwrite loans for the small businesses that may not be able to find a traditional bank loan. With a broader focus on helping small business customers grow, Mathradas said PayPal clients are “bullish” on their future, especially expanding their services beyond the local markets they may serve in the physical world. With Business In A Box, Mathradas said he wants to simplify the task of finding the right partners by giving SMBs the ability to tap into an entire ecosystem committed to helping them grow – global, local and everywhere in between.